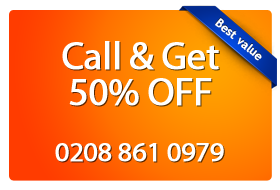 We at Magic Carpet Cleaning provide professional cleaning services for all situated in Highgate N6. If you want to be one of the hundreds of satisfied and happy clients we have, that’s easy – just call 0208 861 0979 and we’ll come wherever you ask us to. You will be in good hands, in the hands of professional cleaners that are highly qualified and will provide a fantastic cleaning service from start to finish. We care about your health and the nature that’s why we use only green cleaning products which are biodegradable and are not dangerous for the health. All employees ofMagic Carpet Cleaningare certified. We have a promise for you – we will until you verify that you are satisfied with the results! Following the latest trends, we provide services of the highest quality. You can be sure that we offer clear conditions that are part of our company policy. Complete coverage of London areas within the M25 ring. You can order multiple services and thus get a discount and save money. We all know that carpets gather large amounts of dust and a soiled carpet brings poor air quality. This can also significantly increase the allergen amount in the home and add a risk for the health of people living there. If you want to reduce this risk to minimum, you can use the steam carpet cleaning method. It uses hot water and special cleaning solutions that are injected in the rug under high pressure and are then sucked out together with the contamination. This method destroys microbes residing in the carpet. This method is preferred by families with children and pets. If you need to clean large commercial areas and business buildings, you can order dry cleaning. It relies on dry powder substances which are rubbed into the rug and are later on extracted by vacuum. This method does not use water which means that you don’t have to wait for the floor to dry. This is a big advantage for 24-hour commercial installations whose clients can walk on the cleaned floor immediately after it’s been treated. The method is suitable for delicate materials and protects them against mold and fading. If you can’t deal with the stubborn stains from coffee, traces of pet urine, wine, food, chewing gum, chocolate, etc. in your home or office, allow us to clean up to 100% for you. We have certified employees who have rich experience with products of any origin – acid, alkaloids, etc. They clean natural and artificial materials using professional equipment and the most effective methods known to date. It will come as no surprise that we at Magic Carpet Cleaning have earned a great reputation for our consistently high standards of service. We meet the high demands of our customers using all available resources – certified and well trained staff, professional equipment and 100% effective and safe cleaners. Call 0208 861 0979 now!